There I was having a pretty foul morning, feeling a little deflated that things weren't going my way today and that I wasn't getting the things done that I wanted to when I was disturbed by the postman, a welcome distraction from the work I was trying to do anyway. When I greeted him at the gate I got an unexpected package amongst the usual mail. 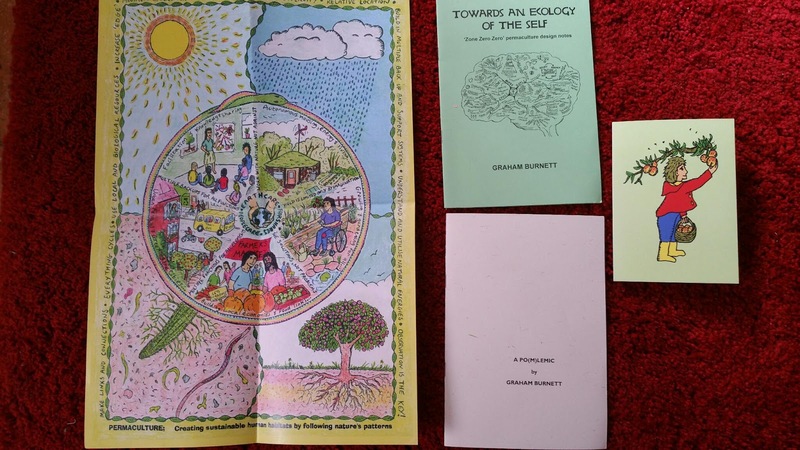 My Permaculture mentor and good friend Graham Burnett had sent me a few goodies that totally brightened up my day. Along with a hand written card featuring his own artwork I got a beautiful Permaculture poster, a copy of his permaculture design notes booklet "Towards an Ecology of the Self" and a copy of the booklet "Apo(m)lemic" which is a history of the humble apple orchard. 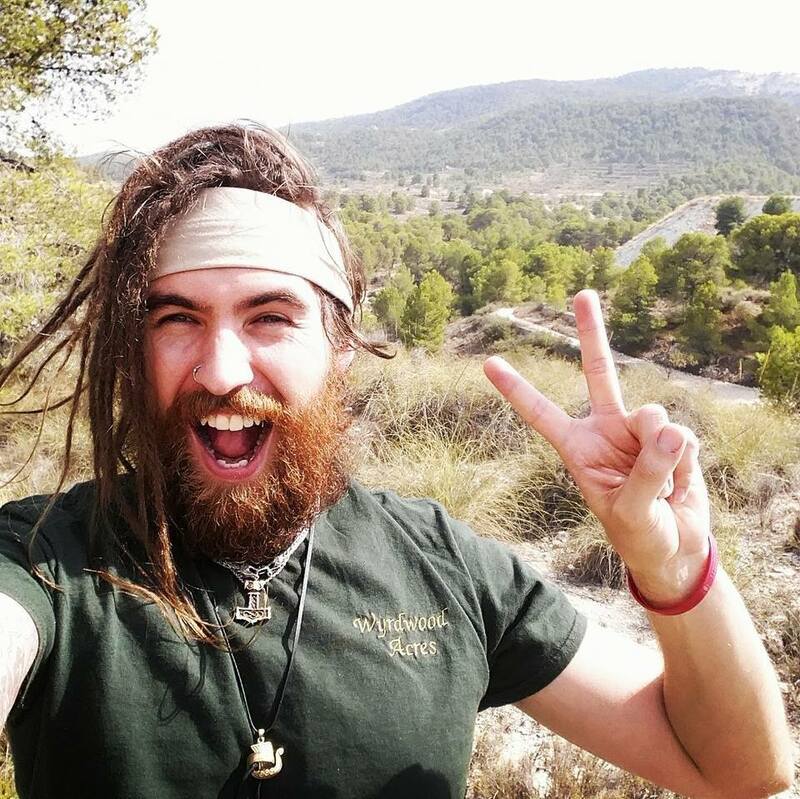 If you haven't checked out Graham's work yet I highly recommend heading over to www.spiralseed.co.uk, I did my Permaculture Design Course with Graham, he is a fantastic teacher and really knows his stuff. It is amazing how an act of kindness can make a bad day do a complete U-turn, and this small care package really lifted my mood and gave me something to look forward to reading once I finished playing email tennis with our architect, writing some blog posts and ordering in materials for our embroidery business. Now I'm off to put my feet up for a well earnt rest and to get stuck in to my new goodies! That is a wonderful care package! One of the seed companies I order from includes a little botanical calendar, an extra packet of seeds (beyond what you ordered), and a sticker or refrigerator magnet or two. I love the fun and surprise of it all. How nice of your permaculture mentor to think of you, and sounds like perfect timing! ooooh, which seed company is that Marcie? We all have days like that. "Some days are diamonds, some days are stones." Can't remember who said it but they were right. I've never heard that saying before but it is going in to my favourite quotes now! It's always nice to receive a 'care' package. Even a note or card can brighten up a horrible day! How nice! Looks like the graphics are fantastic.